Has ‘Star Wars’ Forced Disney Shares up Too High? Claman on Call: FBN’s Liz Claman with an after-hours web exclusive on the markets, oil prices, Apple and Disney. Wall Street took a punch to the gut on what was the last quadruple witching day of the year. That&apos;s the expiration of a slew of futures and options that happened in the last hour of trade. It added to outsized losses -- the Dow closed down 367 points, the Nasdaq lost 67 points and the S&P fell 31 points. The bottom falling out of stocks also had a lot to do with oil. The commodity booked its third weekly loss to settle at $34.95 after touching a fresh seven-year low during the session..
Consumer stocks took it on the chin Friday. Retail giants like Bed Bath & Beyond (NASDAQ:BBBY), Macy&apos;s (NYSE:M), Nordstrom (NYSE:JWN), Tiffany & Co. (NYSE:TIF) and Gap (NYSE:GPS) touched lows they haven&apos;t seen in at least a year. Apple (NASDAQ:AAPL) investors had a tough time swallowing this bite -- the stock crossed into bear territory Friday. Apple has fallen more than 20% from its recent high of $133 and ended the day at $106. It must be a roller coaster of emotions inside the walls of Disney (NYSE:DIS) right now. The entertainment giant fell after BTIG said the stock is overpriced and investors&apos; high expectations for the new "Star Wars" debut have pushed shares up too much. That, as the latest installment of the "Star Wars" series made its debut in U.S. theaters. 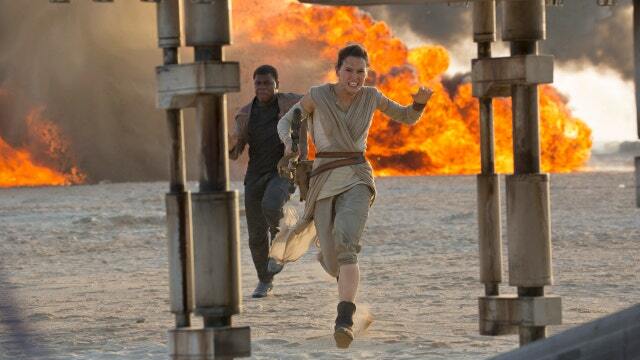 "The Force Awakens" is poised to become one of the top-grossing movies ever. The most anticipated film in the galaxy pulled in a record $57 million in previews Thursday, bringing its worldwide total to $130 million.